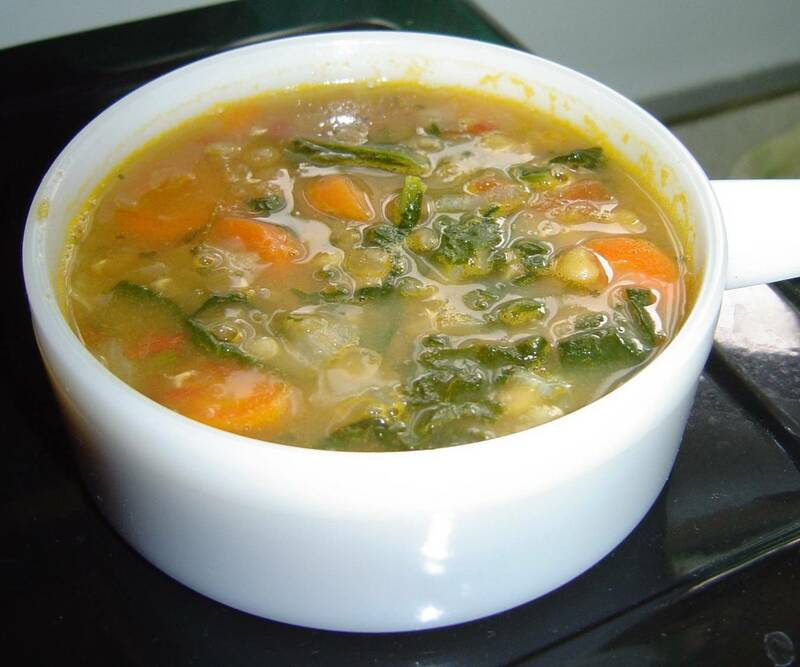 The spinach gives this simple red lentil soup something extra and will not require any noodles or rice because it’s hearty enough! Also, it is so tasty beyond belief besides being wonderfully filling and relatively inexpensive. At the same time, it’s good for your health and waistline. Trust me, you will definitely want to save this recipe for my Easy Red Lentil Vegetarian Soup because it is one to be cherished. Peel and clean your vegetables before chopping into slices and tiny onion and garlic pieces. Brown those veggies in your virgin palm oil until softened. Remove the pot from your heat and coat those vegetables with your flour before returning to your stove. Add the water and your tomatoes, cumin, salt and lentils until the vegetables and lentils are soft. The final step is stir in your spinach and heat through, then serve!